J.P. Morgan is launching the Abadali Art Collection Project in support of sustainable development of fine art in South Africa. 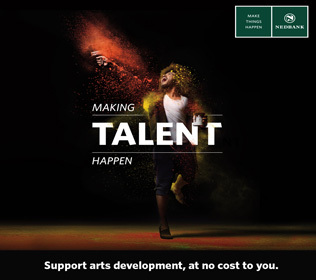 This project will prioritise national artists from socio-economically disadvantaged areas and is designed to offer educational and entrepreneurial development. The art collected through this project will form part of a global art collection held by JPMorgan Chase & Co.
J.P. Morgan recognises the potential artists have on significantly impacting the South African creative economy when given support. It views artists as art creators, cultural creators and future job creators and the Abadali Art Collection Project is an investment in future South African fine artists. The project is divided into two programmes, namely: the Abadali Art Development Programme and the Abadali Mid-Level Programme. While work from both programmes will be included in the art collection, they are targeted at two different groups of artists based on their level of experience. The Abadali Art Development Programme is aimed at artists with limited experience. This project is a four month long process including skills development workshops, mentorship, and a monthly remuneration to help the artist produce four bodies of work for the J.P.Morgan Abadali Art Collection during the period September to December 2018. 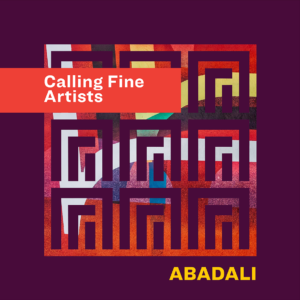 The Abadali Art Collection Programme is aimed at mid-level career artists (with more than five years professional practice or who have shown a solo exhibition of their work). These artists will submit an electronic portfolio and successful artists selected for this programme will be contacted for direct purchase or commissioning of work. Both programmes are aimed at artists over the age of 21 and will prioritise black (African, Coloured and Indian) South Africans from socio-economically disadvantaged areas. Please note: only painting, drawing, printmaking, photography – installation and sculpture will be considered for selection. Hi, My name is Gabriel(Gabiston Art), I’m a Congolese Fine artist reside in south africa more than 12 years now.Sir, can I apply for this call as an artist? You may apply for this opportunity. Please follow the link above to complete the application form.